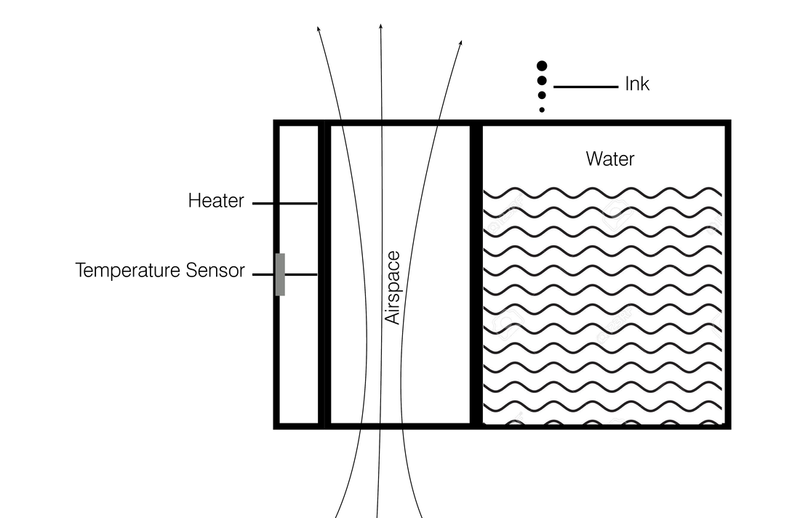 The device is basically seperated by the airspace in between, On the left are a heater and a temperature sensor which can read the temperature of heater so that temperature could be controlled in experiments. 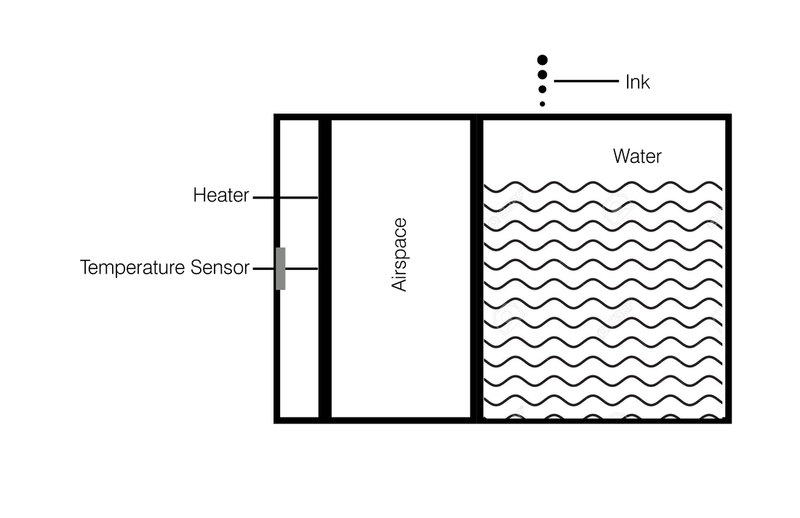 On the right is a box filled with water, the ink injected into water can indicate how the convection flow moves. Based on Scenario I, the dimension of air space is changed in order to test the effect of dimension of the airspace on the convection flow. 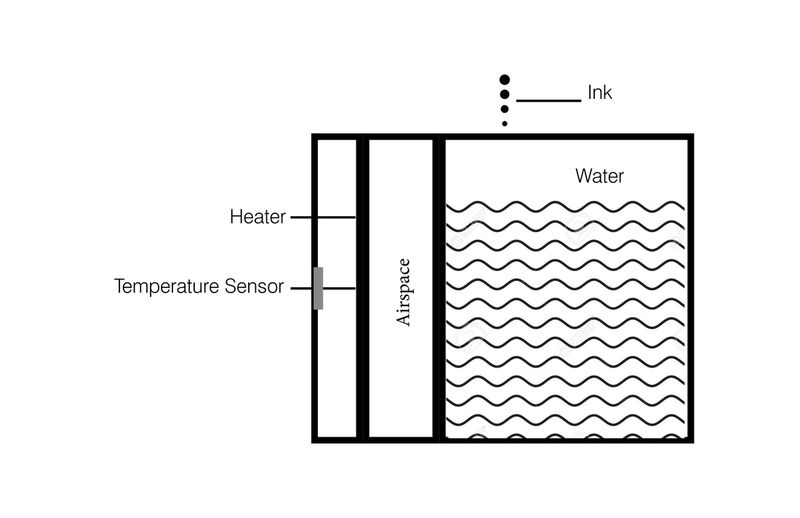 In this scenario, the heater and the box with water are turned upside down so that the effect of the orientation of heat flow on convection flow. 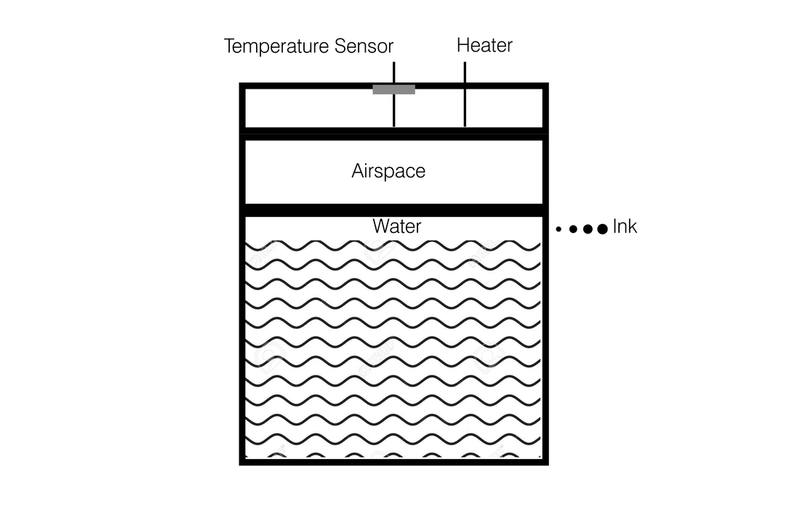 In this scenario, a fan or an air sucker was installed right above the airspace to move the air through the airspace in different velocity so that the effect of air velocity passing the airspace on the convection flow.